Riceviamo e volentieri pubblichiamo la presente relazione a margine del Convegno “Counter-Terrorism Laws and Security Measures” (Università degli Studi di Palermo, Dipartimento di Giurisprudenza, 5 maggio 2017, nell’ambito del Corso triennale di seminari Jean Monnet Module – Mobility, Security and the New Media). As is well known, judicial cooperation in criminal matters is one of the areas in which the Lisbon Treaty has been most effective, promoting a system of interaction between the European Commission, the Council and the Parliament, as well as the Court of Justice. In this way, also begun in the criminal matter a slow process of internal law “erosion” in favor of the creation of a European criminal law which, drawing on the specific national rules in the field, increasingly enriches the legal heritage of European Union. In relation to this, it should be noted that the “pressure” for a definitive integration of member States’ criminal law becomes even more urgent and discussed in areas such as organized crime, and nowadays, international terrorism. This debate reveals its crucial importance also in light of a particular consideration: citizens’ security and protection must balance, on the one hand, with the general retrospective nature of national laws to give portions of sovereignty in criminal field; on the other hand, with the risk that an excessive anticipation of criminal protection cannot be supported by the general principles of criminal law, such as certainty, legality. As correctly emphasized by Maurizio De Lucia, prosecutor of the National Anti-mafia Agency, one the most experienced practitioners in the fight against terrorism and organized crime, the problem must be dealt with in a concrete way: there is a need, for those who prosecute these specific offenses, such as Police and Judicial Authorities, to have legal and procedural instruments that advance (acting as a preliminary guarantee) as far as possible a legal protection. Moreover, the problem is actual and directly affects the inviolable rights of citizens, since it is necessary to understand how to strike the criminal conduct of terrorism in a preliminary state of their realization (preparatory acts), restricting personal freedom as little as possible. For instance, according to the Italian case law, (Italian Supreme Court, Criminal Section V, no. 48001/2016, 14 July 2016, dep. November 14, 2016) in relation to the existence of the organized crime with terrorist aims (Italian Criminal Code, art. 270 bis), it can be registered the procedural difficulty to acquire appropriate evidence, since there is often no perceptible limit, for example, between the “proselytism” and the “indoctrination”; also, it is hard to focus the actual and concrete terrorist activity of a group of people. In such case, the Supreme Court of Italy considered both “proselytism” and “indoctrination” as unsuitable elements to induce the recipients to provide a willingness to join the Islamic cause: those requirements must be considered mere “ideological preconditions for a truly functional link with the typical content of terrorist actions”: in brief, as noted, is not easy to define and punish preparatory acts of those conducts, even if typically partially characterizing specific crimes. 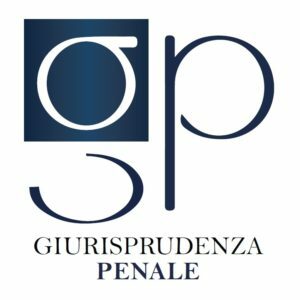 In any case, this decision considered the elements of the substance of the case to be appropriate for the possible application of prevention measures under Italian law. According to this, a brief reflection is necessary. In fact, the Italian Anti-Mafia Code provided the application of preventive measures against terrorist offenses, in relation with “objectively relevant, direct preparatory actions to take part in a conflict on a foreign territory in support of an ‘Organization pursuing terrorist purposes’ as established by Italian Criminal Code, art. 270 bis “: so, it provides a purely preventive intervention for such acts. In this sense, a first step towards European regulatory harmonization in recent years has to be found in the recent Directive 2014/42 EU on the freezing and confiscation of instrumental assets and crime proceeds. This measure considerably increased international cooperation in recovering assets in possession of criminal organizations, requiring Member States to take prevention measures to enforce instrumental assets and proceeds of crime confiscation: this, on the basis of a final sentence, including the possibility of confiscating goods against third parties, saving the rights of third parties in good faith. The Directive also provided for specific provisions aimed at strengthening the effectiveness of confiscation by obliging the Member States to set up internal measures to detect and manage confiscated assets, as well as the “freezing” of criminal assets in forecast of future confiscation. Originally, the text proposed by the Commission suggested the introduction of a “non-conviction confiscation”, which was legally recognized by the European Court of Human Rights, with appropriate procedural guarantees, in compatibility with the principle of proportionality: about it, the Commission wrote: “the impact of this option on criminal behavior would be significant as confiscation not based on conviction (even in limited circumstances) and confiscation against third parties would oblige criminals to change their practices and make it more difficult to conceal of goods”. Therefore, it seems that the considered provisions constitute the first European legislative instrument to overcome the current lack of protection in the Union, with a brief review of comparative law: in fact, currently on 34 MS, only 5 provide similar measures, and generally with the sole purpose of preventing violence during sport events (something very different from the Italian measures). Actually, this legislative intervention, in a certain sense, offers a positive legitimacy to the discipline of prevention measures, in which Italy has been the forerunner for clear historical reasons: this Directive, while dictating general and principle discipline, could represent, in an embryonic stage, the future European legislative framework on the subject of early protection against internationally-based terrorist offenses. On this point of view, it is interesting to observe how the recent ruling of the European Court of Human Rights, in the case “De Tommaso v. Italy”, February 23, 2017, provided important reflections on the future and desirable application of prevention measures in the European law, reiterating and specifying some of the nodal points of the discipline. Referring to the Italian case-law, the Court ruled, inter alia, that “the premise for the application of a precautionary measure against a particular person was the finding that the person constituted a present danger, which was not necessarily bound to committing a crime, although this could be a relevant factor. What was important, according to the Italian Supreme Court, was the existence of a complex case of a certain duration indicating that a person’s lifestyle raised problems in terms of public security” (Italian Supreme Court, United Chambers, no. 10281/2007). In the examining of the respect of the conditions provided by art. 2 of Additional Protocol no. 4, Strasbourg Court pointed out that it must “determine whether the interference was provided for by law, pursue one or more legitimate purposes referred to in the third paragraph of that article and is necessary in a democratic society”. In particular, the decision first outlines some of the essential features of predictability. In fact, according to the Court, “a provision cannot be considered as law, unless it is sufficiently precise to allow citizens to regulate their conduct; they must be able – if necessary, by appropriate advice – to foresee, at a reasonable level in specific circumstances, the consequences that a particular action may imply. Such consequences must not be foreseeable with absolute certainty: experience shows that this is unworkable “. In this sense, a rule is considered foreseeable when it offers a protection against public authorities’ arbitrary interference. In conclusion, according to European Court “the legislation currently in force at the relevant time does not sufficiently indicate the extent or manner of exercising the very discretion conferred upon the internal courts”: in brief, it has to be formulated with sufficient precision to provide protection against arbitrary interference and to allow the applicant not only to regulate his behavior, but also to foresee with sufficient degree of certainty the application of preventive measures. While considering some of the highest interests and the particular level of technicality, regarding the implementation of the procedures for the application of prevention measures and the effects they may have on the concerned individuals’ personal situation, it is necessary to grant the concerned persons the right to request a public hearing: in this way, it is possible to enable the control and transparency of the judicial process, in way to have a fair trial. Likewise, in the case of 6 April 2000, Labita v. Italy, the Grand Chamber stated, in principle, the legitimacy of the ‘prevention measures’ applied to individuals suspected of belonging to the mafia, even before their conviction, as those measures tend to prevent the commission of criminal acts. The European Court added that “Member States’ domestic law, with reference to the concept of “danger”, must indicate with sufficient clarity and precision the scope or the exercise mode of the discretion conferred on the internal courts, ensuring sufficient degree of certainty In the “application of prevention measures”. With reference to this, in other decisions, the Court defined the notion of “formal legal basis” referring to the accessibility and predictability requirements of the law (European Court of Human Rights, 21 October 2013, Rio Prada v. Spain; 27 January 2015, Rohlena v. Czech Republic and 14 April 2015, Contrada v. Italy) and case law (European Court of Human Rights, 6 March 2012, Huhtamäki v. Finland). In the past, the Court of Strasbourg has recognized the compatibility of Italian personal injury prevention measures with the ECHR by distinguishing between deprivation measures (subject to the strict conditions of applicability provided for in the Convention, Article 5) and limitations of personal freedom (provided, on the other hand, by Additional Protocol No 4, Article 2, which protects the freedom of movement through a conditional protection): full compatibility with the ECHR has been reaffirmed by personal protective measures, drawing out a guideline which can be defined as consolidated. In general, the Strasbourg Court also considered not contrary to the principles of the ECHR the autonomy of the prevention trial by criminal law as part of the Italian legislation, stating that “the eventual judgment of absolution does not necessarily deprive the prevention measures of any reason to exist: in fact, concrete evidence gathered at trial, even if insufficient to reach a conviction, may, however, justify reasonable doubt that the subject in question may in the future commit criminal offenses “(as seen before, European Court of Human Rights, 6 April 2000, Labita v. Ita). European case law has attributed to prevention measures a distinct function and nature in terms of penal sanctions; in fact, while the criminal sanction tends to prosecute the criminal law infringements, and it is subject to crime investigation and guilt accusation, the preventive measure does not require a crime and tends to prevent the commission by individuals deemed dangerous. In that case, the Court will have to strike a balance between respecting the law guaranteed by law and the needs of the community. Indeed, this could be the key to European protection against terrorism, as it could stimulate a uniform European law, extrapolated from the Italian example, and respectful of the crises formulated by the Strasbourg case law. Beside the Italian internal discipline of preventive measures (unique in Europe), could then imagine a new European directive which, in accordance with the dictum of the Court, be characterized by affordability and predictability of the preventive measures. This is because of the necessary anticipation of the criminal protection of particularly sensitive legal goods, such as life, health, security and others, protected at the highest levels by EU law. On this point of view, in the Italian legal experience, personal injury prevention measures are now also applicable to foreign fighters. If, on the one hand, the criminal cases in terms of terrorism are characterized, mainly, by the “alleged danger”, in order to anticipate the moment of criminal protection at an earlier stage and regardless of the realization of an eventus criminis; on the other hand, it may be appropriate, at European level, to lay down uniform provisions on prevention measures to be applied in cases where it is difficult to ascertain beyond reasonable doubt the individual criminal liability (as suggested, in another way, from Italian case-law). In short, the principles expressed by the Court of Strasbourg, De Tommaso, as well as being the occasion to speed up a full interpretative adaptation on the subject, are accompanied by what we might call an implicit prognostic for a legislative unification: among other decisions, for example, the focused judgement stimulate the disconnected application between individual preventive measures and assets’ preventive measures. Furthermore, asserting that such criminal phenomena are characterized by a supranational, fluid and capillary dimension, it cannot be denied the importance of inter – State judicial cooperation. At this stage, the internal courts work together just for specific cases. In such cases, not only is essential an action of global police ex ante, at the stage of investigation (already tested by institutions such as Europol and Interpol); but it would be crucial ex post the coordination between the member States internal courts for the application of special prevention measures: this last goal would be more suited to block terrorist organization’s emergence. From a European point of view, it would be a sufficient start to finally and effectively create the role of the European Public Prosecutor, as envisaged by art. 86 TFEU, till this moment never realized: such a figure would be decisive for the purpose of European counterterrorism co-ordination, even in the sense of imposing possible “European prevention measures”. In addition, while still taking up the Italian legislation on this subject, Law n. 43/2015 introduced national co-ordination on terrorist crime proceedings, entrusting it with the new figure of the National Antimafia and Counter-Terrorism Prosecutor, also giving him important competencies in respect of prevention. 1 Novembre 2015 Case of Baratta v. Italy. An opportunity to show full compliance with the ECHR’s standards. 12 Marzo 2017 Executive Order on immigration No. 2: has President Trump learned his lesson?